Taking public transportation? Brave the jungle with these quick hacks! If you live in urban areas of Philippines, you know how challenging and downright agonizing it can be to commute on a daily basis— It’s not exactly on anybody’s favorite activities list. While there’s much to improve with our transport system that we can rant about, there are ways for us to at least make the experience easier for ourselves, more pleasant even. Below, we’re sharing with you 6 hacks to survive commuting in the metro. You’re welcome! First and foremost, always ensureyou bring a bag that can be fully and securely closed such as those with zippers. Tote bags may be convenient for you, but remember you’re not the only one who will have easy access. If you change bags frequently, get a bag organizer to easily transfer all your things from one bag to another. 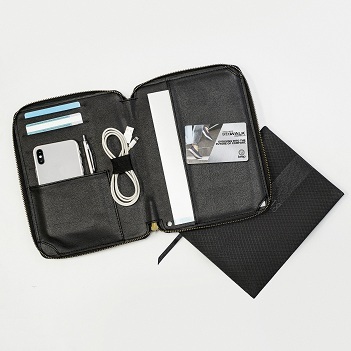 If you’re a gadget junkie, use a cord organizer for tangle-free earphones and chargers while you’re on the go. Trust us, your daily travel can be a whole lot easier and much less tiring simply by wearing the right shoes. Ditch the heels, obviously. 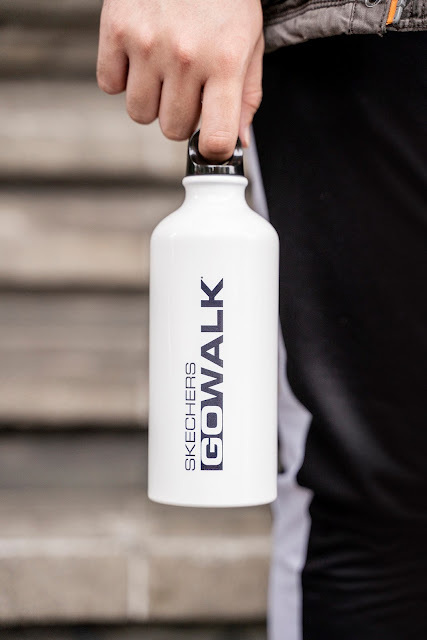 Go for something reliable and tested like Skechers GOWalk—said to be the number 1 walking shoe in the U.S., it’s also worn by travelers in airports all over. The latest Skechers GOwalk Evolution makes you feel like you’re walking on clouds, giving a bounce in every step no matter how long and tiring the lines or walks are. Well cushioned, lightweight and breathable,this shoe is a must-have travel and commute companion! USE STORED VALUE CARDS- Save time & money, grab limited deals! Skip long lines atticket stations by purchasing beep™ stored value cards. Aside from saving time lining up, it also saves you money as it comes out cheaper than buying single rides in LRT1 and LRT2. This January, you’ll want to watch out for a new limited edition Skechers beep™card—a special co-branded card that can be used anywhere on MRT3, LRT1, LRT2, P2P buses, BGC Bus, and anywhere beep™cards are accepted. To make commuting a better experience for everyone, Skechers is giving out a P500 discount voucher on GOwalk shoes with each purchase of a Skecher beep™card (P50). No limits on number of cards you can purchase so if you want to share the gift of comfort and convenience to friends and family this season, a Skechers beep™card with GOWalk discount voucher is a great way to go! Skip long lines at ticket stations by purchasing stored value cards. Aside from saving time lining up, it also saves money too as it comes out cheaper than buying single rides. This December, you’ll want to watch out for a new limited edition Skechers Beep card—a special co-branded card that can be used anywhere on all MRT and LRT trains, select P2P buses, and anywhere Beep cards are accepted. 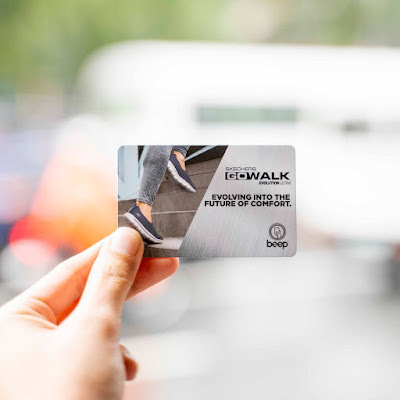 In the spirit of Christmas and to make commuting a better experience for everyone, Skechers is giving out a P500 discount voucher on GOwalk shoes with each purchase of a Skecher Beep card (P50). No limits on number of cards you can purchase so if you want to share the gift of comfort and convenience to friends and family this season, a Skechers Beep card with GOWalk discount voucher is a great way to go! Oftentimes, journeys require us to take 2 or more modes of transport. So while stored value cards make our lives easier on trains and some modern bus lines, we still need to rely on cash for jeeps, tricycles, and taxis. 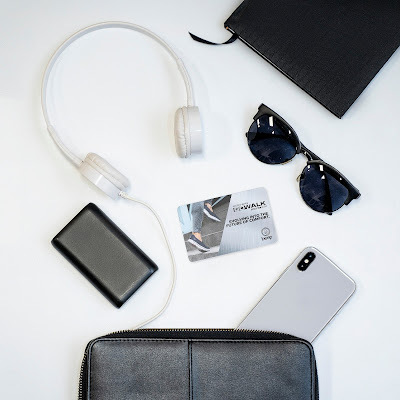 It helps a lot with both safety and convenience to have a separate coin purse handy on short rides so you don’t have to bring out your main wallet which carries your cash and cards. Also, you won’t have to worry about not getting enough change back when you can give the exact amount! Instead of buying bottles of water every day, we suggest that you bring your own water tumbler instead. This way, you’re not just saving money, but you’re saving the earth by reducing single-use plastic as well. The water will help you stay fresh throughout your commutes especially in our typically hot and humid weather. Place it in an easy to reach, outer part of your bag so you it’s easy to hydrate whenever and wherever you are. If you have a big meeting or event coming up and you don’t have space or time to pack extra clothes, prevent sweat marks by putting liners inside the sleeves of your clothes where your underarms are positioned. Of course, it’s always good to bring a hand fan or a portable battery-operated one for hassle-free cooling to avoid sweating in the first place. There you have it! 6 hacks we hope can help you make the best experience possible out of your challenging city commutes! 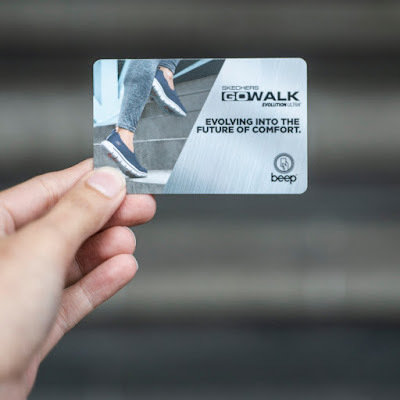 Limited edition Skechers beep™Cards will be available for purchase this January 2019 at selected P2P stations. One P500 discount voucher will be given with each Skechers beep™card purchased. For more information on Skechers GOWalk, visit skechers.com.ph, like Facebook.com/SkechersPhilippines and on Instagram @SkechersPH. Skechers GOWalk is available at Glorietta 2, Trinoma, SM North Edsa The Annex, Ayala Malls Cloverleaf, Gateway Mall, Robinsons Galleria, Ayala Malls The 30th, SM East Ortigas, Market! Market!, SM Mall of Asia, Robinsons Place Manila, Lucky Chinatown, Alabang Town Center, Festival Mall, SM Southmall, SM Bacoor, SM Dasmarinas, Robinsons General Trias, SM Lipa, Fairview Terraces, SM Fairview, SM Pampanga, Marquee Mall, SM Clark, Vista Mall Bataan, SM Cabanatuan, Robinsons Place Ilocos, Ayala Malls Legazpi, Ayala Center Cebu, SM City Cebu, SM Seaside Cebu, SM Bacolod, SM Iloilo, SM Davao, Abreeza Mall, Gaisano Mall of Davao, Limketkai Mall and Centrio Mall.